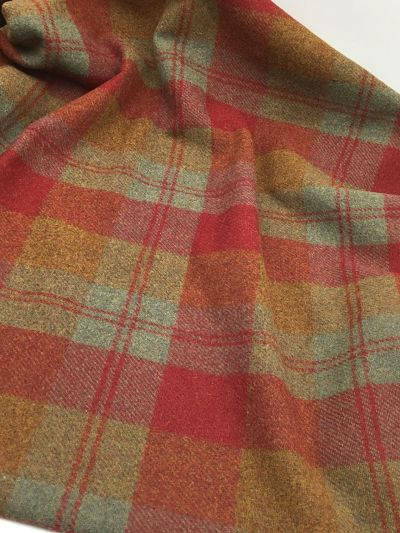 Autumns Calling is a large plaid that hooks up with a paisley look to it. Soft greens, aquas, teals and reds make autumns calling perfect for backgrounds and flowers. this wool is going to be the perfect barn!